Yesterday we went on a drive out to two nature reserves near Yuna, a round trip of about 200Km. 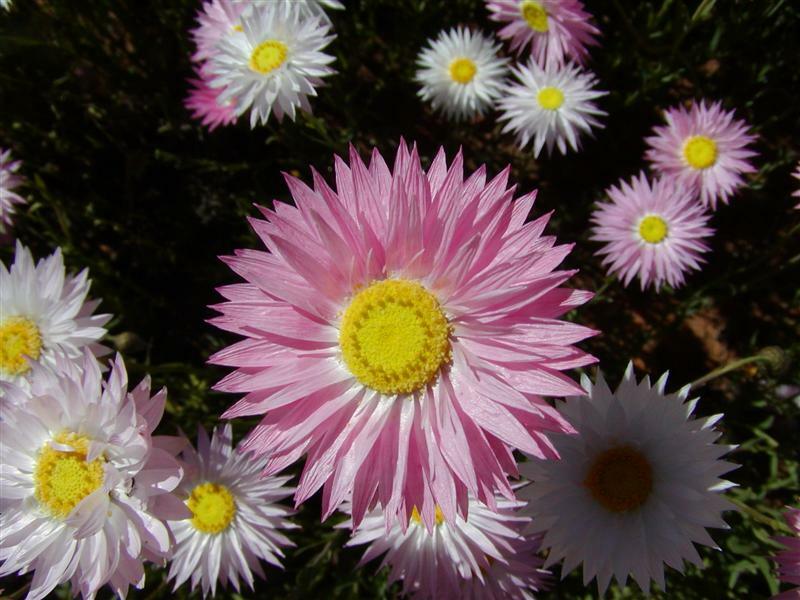 The flowers were simply stunning, fields of pink and white everlastings, followed by fields of yellow everlastings followed by fields of pink daisies, followed by fields of white and yellow daisies, etc, etc. And this was before we got to the nature reserves! 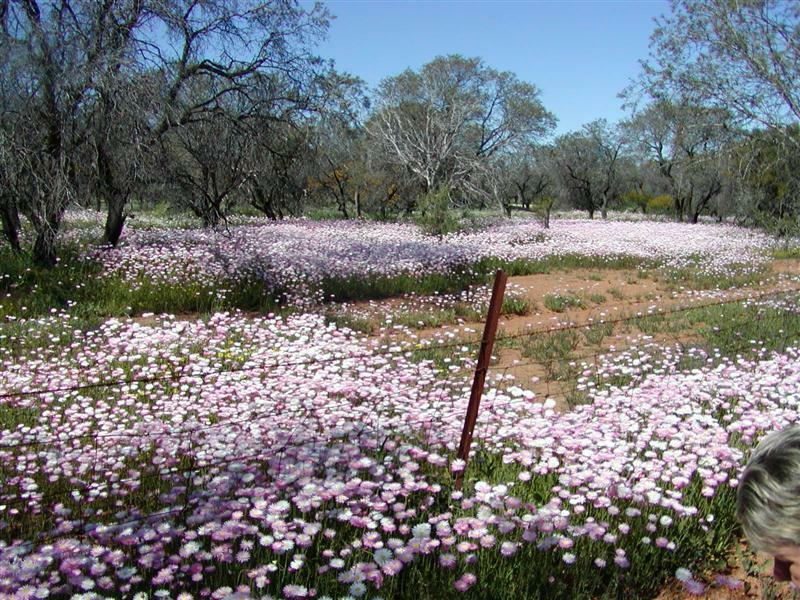 The fields of pink flowers are especially fantastic, they just about take your breath away. 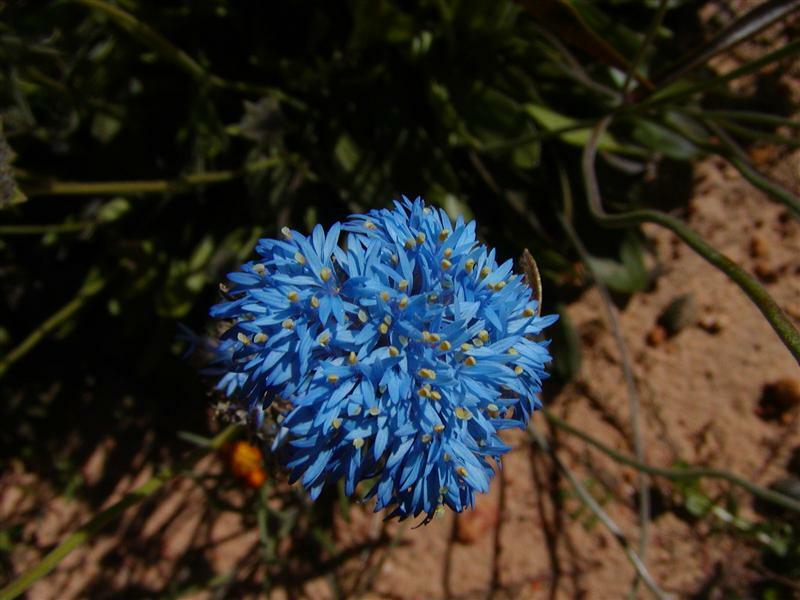 We stopped many times to look at special flowers and had trouble resisting taking hundreds of photos. 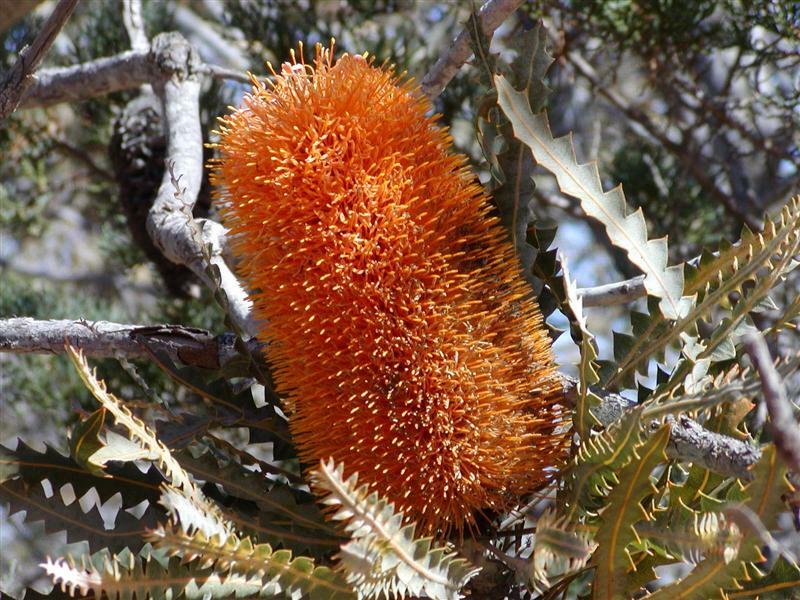 You will have trouble believing that I drove at 5-10 KM/Hr going through the reserves and backed up many times so we could get out to check a new flower, even threw in a couple of U turns! The Magno’s were blown away by the flowers, especially the new ones we discovered along the way. 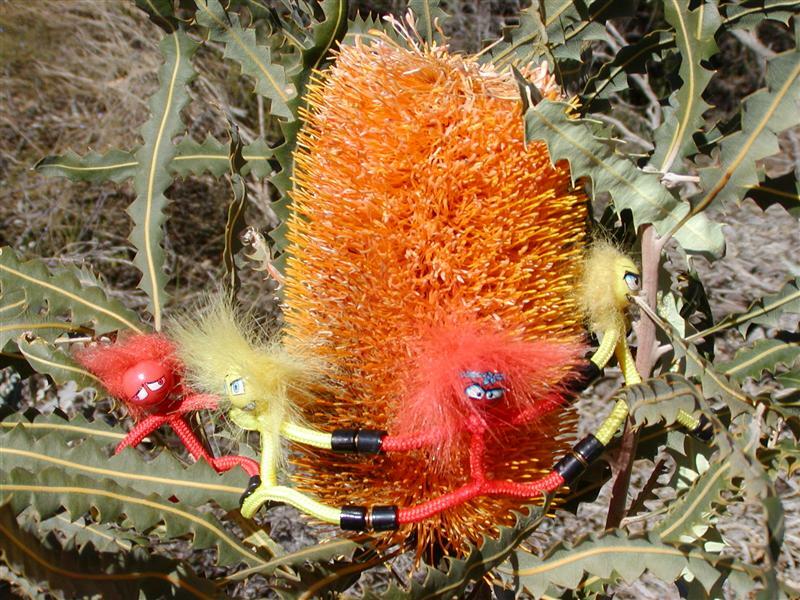 The old ones showed the new ones how to dance around a Banksia flower. 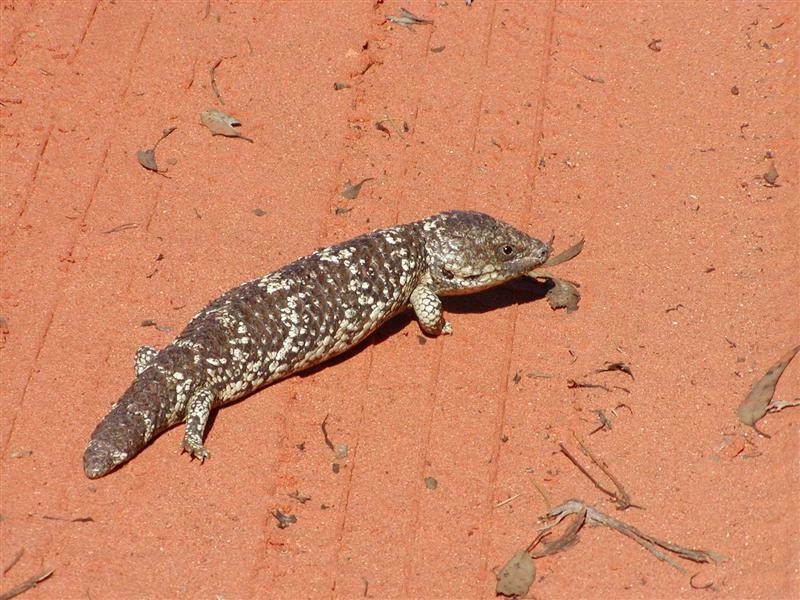 Rhys and Heath would have liked the stumpy tail who came out of the bush to see the Magno Men. 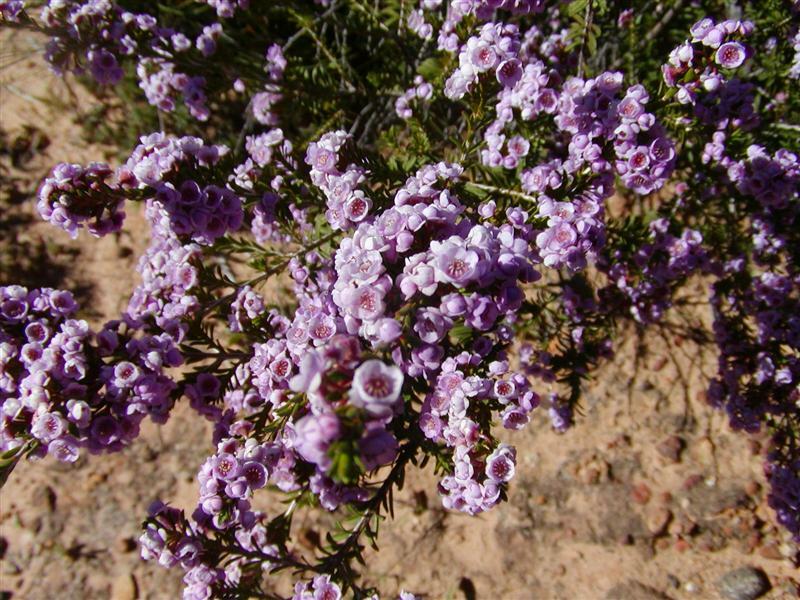 We will be leaving Geraldton on Tuesday for Mullewa, Pindar, Morawa, and Leseur National Park, some of the best places to see wildflowers, if they can get any better! We will probably be out of Internet coverage for a few days. Wow! What beautiful sights you have been taking in and such memories you will have at the end of this trip! Haven’t been able to catch up on yur blog for over a week as we have been on Magnet Island (surprise for my birthday!). Glas to spend time today catching up with all your news and feeling connected once again.